Laval St. Germain faced daunting challenges during his latest fundraising adventure. In what he calls “unfinished business,” Laval St. Germain recently tested his body and spirit again while raising money for the Alberta Cancer Foundation. In 2016, the extreme adventurer braved the Atlantic Ocean by rowing from Halifax to France in support of cancer patients — and, late last year, he embarked on a second fundraising mission, this time to Antarctica, where he set out to ski to the South Pole solo and then climb Mount Vinson, the continent’s highest peak at 4,892 metres. St. Germain kicked off the skiing journey on November 25, travelling from the edge of Antarctica at Hercules Inlet toward the South Pole. Unfortunately, due to gear issues out of his control, he made the difficult choice to abandon the ski-solo mission 13 days in, and instead went on to climb Vinson and a second mountain, Mount Shinn — Antarctica’s third highest peak — the next day. With the intention of raising funds in support of Calgary’s Tom Baker Cancer Centre and Edmonton’s Cross Cancer Institute, St. Germain carried out this particular polar expedition in honour of his friends and family who have faced the disease. His previous fundraising adventure across the Atlantic was inspired by the loss of his father-in-law to cancer, as well as the cancer diagnosis of a close friend. Since then, he’s had two more close friends face the diagnosis, and another who lost his battle to the disease — prime motivation for St. Germain to raise funds and awareness once again. For St. Germain, mastering the multi-day climb to the top of Mount Vinson completed a personal journey years in the making. 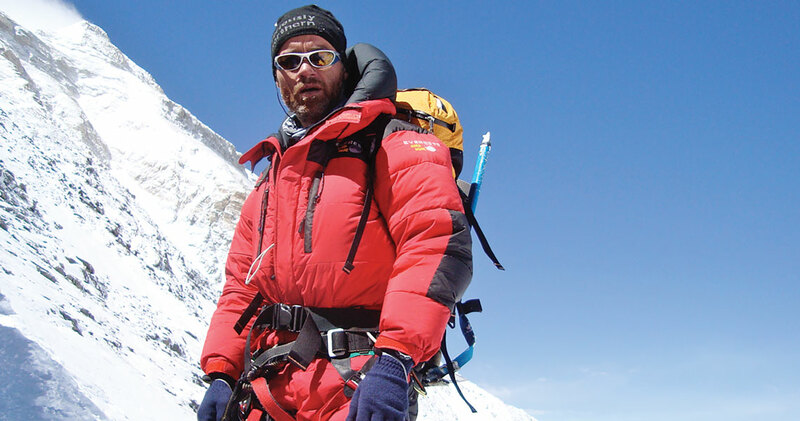 This summit marked his seventh and final climb of each of the seven continents’ tallest mountains — an achievement known as the “Seven Summits,” and one that puts him in esteemed company among extreme adventurers. Always directing his gaze forward, he says he’s not finished with his quest to bring attention and funding to cancer research.